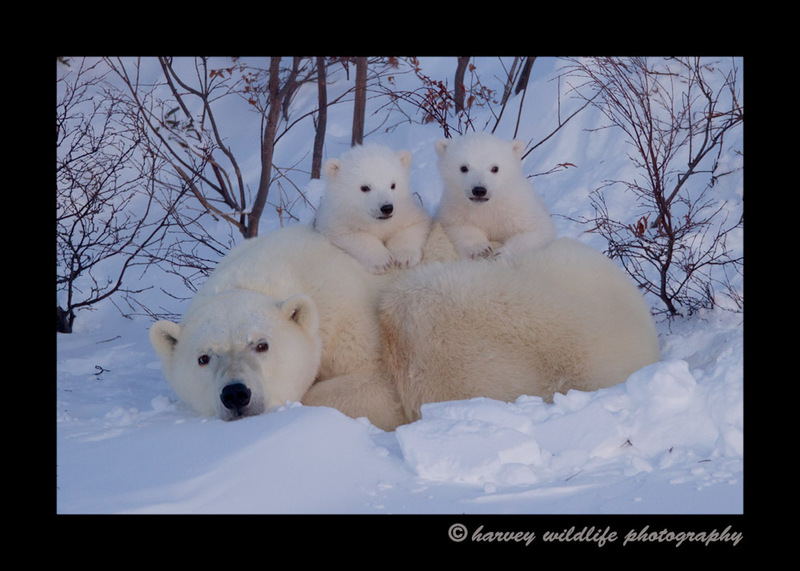 Posers: Polar Bear moms and cubs near Churchill, Canada. These cute little polar bear babies stop playing briefly as their curiousity got the better of them. I think they were wondering what the shutter relase sounds were, so they stopped what they were doing and stared at us.